The thought of doing a presentation is nerve-wracking, even for those who are used to them. Standing up in front of a room full of people and making sure you engage with them and that they are informed by what you say, can be enough to send anyone into a blind panic. However, no matter how nervous you are about doing a presentation, there are ways you can make sure you ace yours, no matter how inexperienced you may be. These are just some ways to get the most out of your presentation. There is nothing more painstaking than watching someone present when they are under-prepared. This is not just about what you say but the props you use to convey your message. 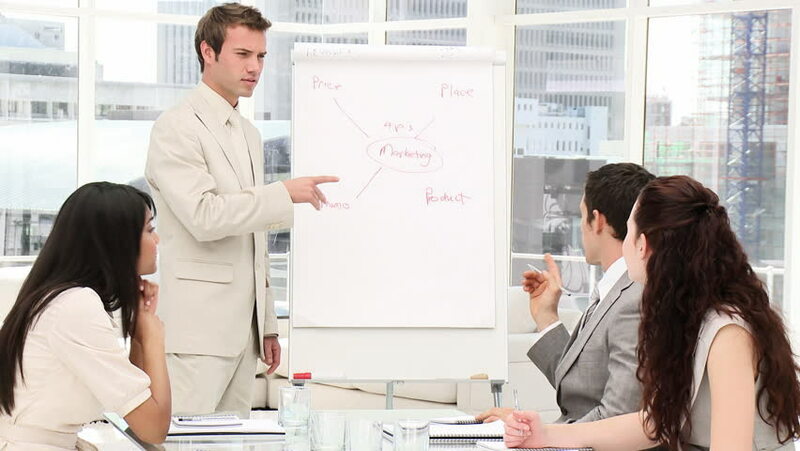 Your flip-chart, for example, should be ready to go with all the information you need to captivate your audience. You don’t want to be fumbling around nervously during a presentation, you want to appear confident, and having adequate office supplies well help ensure you look and feel prepared. Presenting doesn’t come naturally to most people. When you see someone presenting well, it’s usually not because they just know how to do it – it’s because they’ve practiced what they are going to say and how to say it…and then they practiced again and again. If you want to make sure you ace your presentation, you need to ensure you practice it. If you leave it to the last minute, it will show – that much is guaranteed. Practice definitely makes perfect when it comes to presenting. You should aim to create an environment which makes your audience feel welcome and comfortable. The right furniture layout and plenty of space are just some ways to create a warm environment for your audience. It’s just up to you to make sure they don’t fall asleep! It is important to make eye contact with your audience during a presentation. If you constantly look at the floor or at your notes, you won’t be engaging with them. Take the time to make eye contact with everyone (without having a staring contest) and you can instantly build rapport with your audience. At Office Monster, we have a wide range of office supplies which are ideal to make your presentation excel. Take a look through our website to find the right ones to suit you.